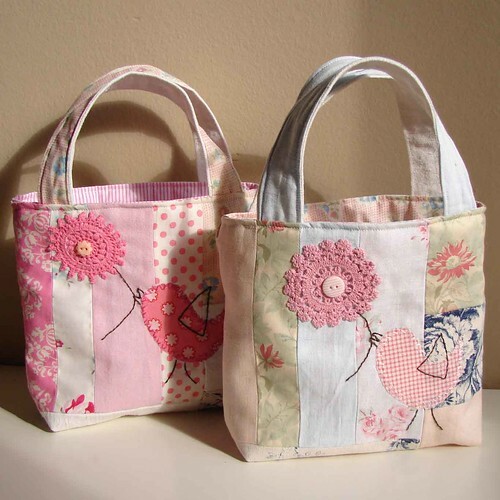 Bird totes, originally uploaded by Roxy Creations. Love these bag so much! The bird, the fabrics, the crocheted flower, the button, the colors.. all!